When you partner with HealthCareBizSales.com to buy or sell a healthcare business or medical practice, you tap into the experience that Tom Jones has accumulated, and this level of expertise is priceless. With over 500 sales to his credit, he has a wealth of experience and a solid track record of success. As a result, Tom and his team have a direct line of communication with countless decision-makers, both buyers and sellers within the healthcare industry, an invaluable resource. Plus, there is the Transworld Business Advisors connection. 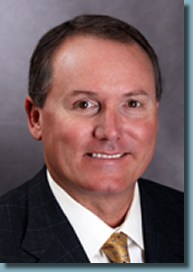 Many people would consider Tom to be the leading healthcare business broker in the entire country. This is enough to inspire confidence in clients, but his position is strengthened by his affiliation with Transworld Business Advisors. Transworld Business Advisors is a name that resonates loudly within the business brokerage world. They have an international network of business brokers, and they use an advanced system to connect sellers with qualified buyers. As a division of Transworld Business Advisors, HealthCareBizSales.com can access everything that Transworld Business Advisors has to offer.